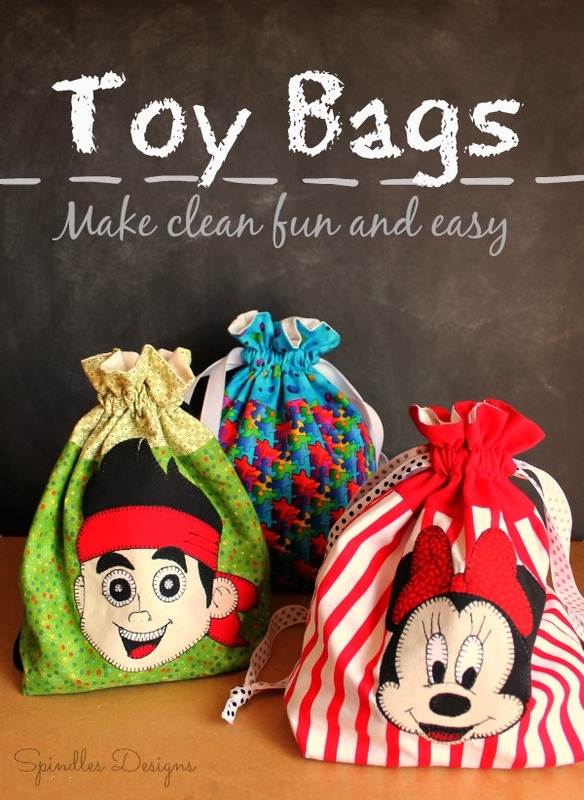 Make clean up fun and easy with Toy Bags. I don’t know about you, but I get so tired of toys everywhere! With 3 little ones we’ve acquired a few toys. I love watching my kids play and hear all their giggles, but I hate the tears and tantrums at clean up time. I shared in their frustration of not knowing where to put things. We tried toy baskets but everything would get tangled and lost. My sister reminded me of something my mom said about cleaning when we where little. 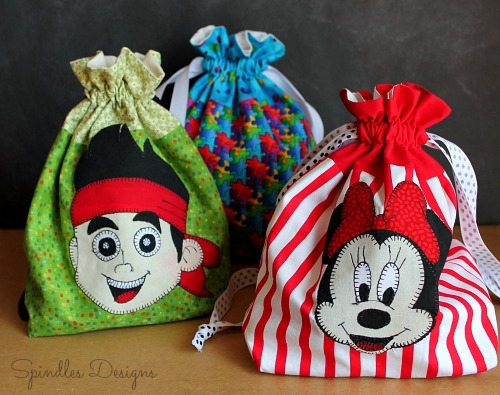 The idea for toy bags was born. So I make a home for some of my kids toys. Now clean up time is a game. Everything gets put in its own toy bag. Toys don’t get lost nearly as often and my sanity is intact. For my pattern I used Lined Draw String Bag Tutorial from In Color Order. 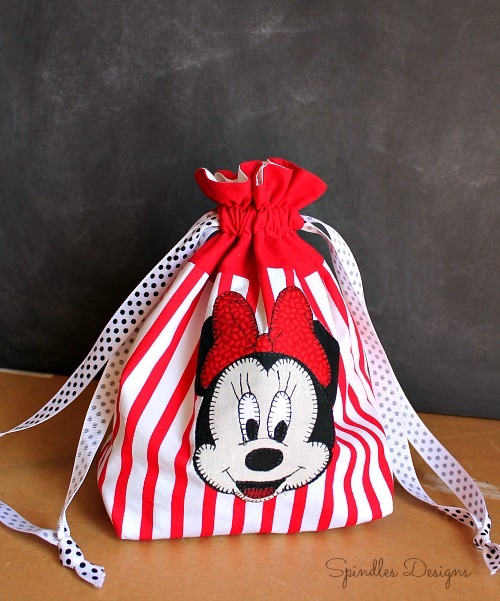 These bags are so easy make and Jeni’s tutorial makes them even easier. I added the applique to help my kids remember what toys goes in each bag. I used coloring pages I found on Pinterest for my pattern.